The theory is that when we’re scared, we need to share the experience with others – and if no one else is around, even a non-human brand will do. Fear can stimulate people to report greater brand attachment. So negativity has a real and lasting effect – and it’s evident in how content gets shared, too. In the previously mentioned New York Times viral content study, some negative emotions are positively associated with virality – most specifically, anger. What does all this teach us as social media sharers and marketers? 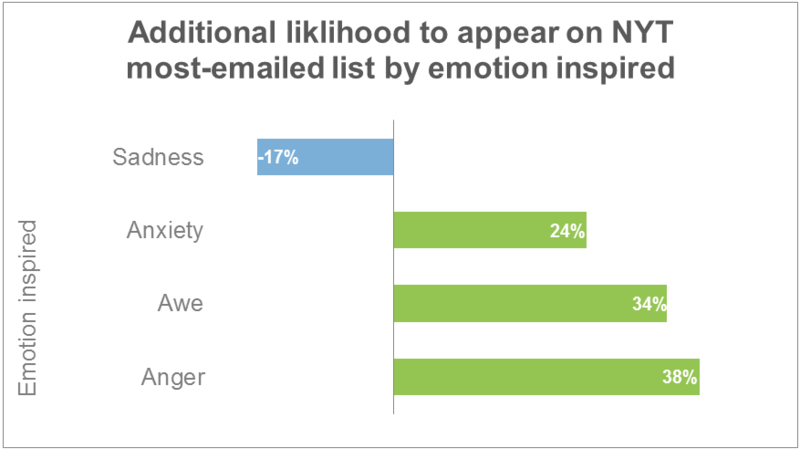 That emotions are critical – maybe even more than previously thought – to marketing. That makes sense based on what scientists know about the brain now – that people feel first, and think second. The emotional brain processes sensory information in one fifth of the time our cognitive brain takes to assimilate the same input. And since emotions remain tied to base evolutionary processes that have kept humans safe for centuries, like detecting anger or fear, they’re so primal that we’ll always be wired to pay attention to them – often with surprisingly powerful results. Emotion – the feeling of overcoming a primal fear – was the driver that moved their customers. P.S. If you liked this post, you might also like The Science Behind What Motivates us to Get Up for Work Every Day and How To Make Positivity a Habit: 4 Simple Steps to a Happier Everyday Life.